The European Parliament overwhelmingly passed a law on Wednesday (15 November) that gives the EU far more legal freedom to tighten trade barriers against excessively cheap imports from China. 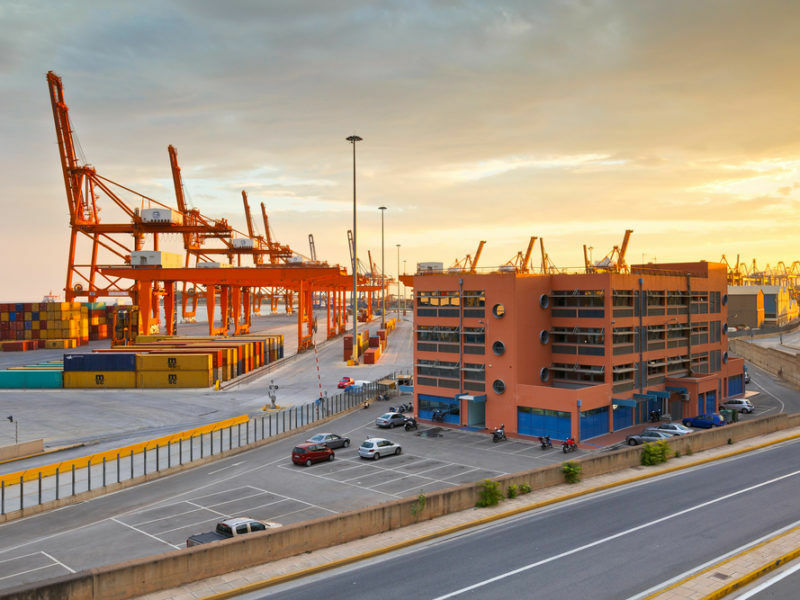 The law, several years in the making, introduces a new method for drawing up anti-dumping duties over imports from third countries that demonstrate significant distortions to the global market. It was passed by 554 votes to 48 against. It also allows authorities to take into account environmental and workplace standards when setting import duties. 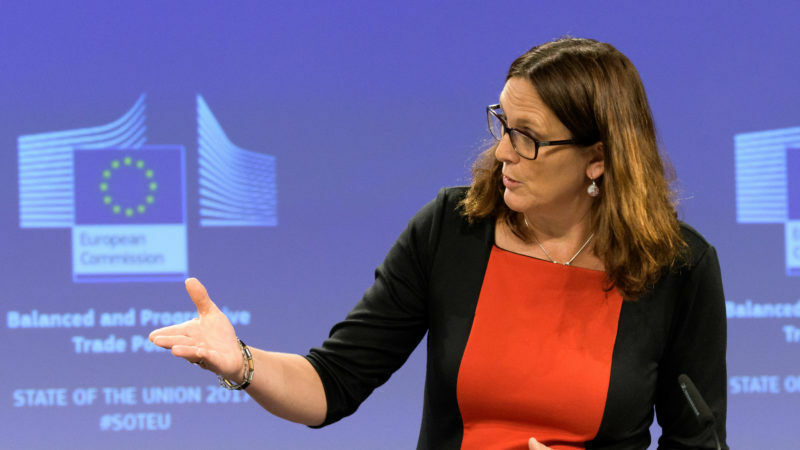 This law “will ensure that European industry remains well-equipped to deal with the unfair competition”, EU Trade Commissioner Cecilia Malmström told MEPs in Strasbourg, France, ahead of the vote. The law is due to enter into force before the end of the year. The European Union has decided to set duties on hot-rolled steel from Brazil, Iran, Russia and Ukraine after a complaint by EU manufacturers that the product used for construction and machinery was being sold at excessively low prices. 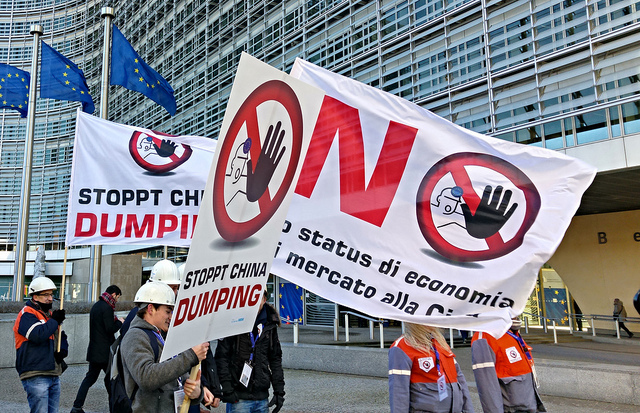 China’s ministry of commerce said prior to the vote that the EU’s new anti-dumping measures would not be in compliance with World Trade Organisation (WTO) rules. The new measures are intended to offset the consequences of granting China so-called market economy status at the WTO that will make it more difficult to prove illegal trade practices by Beijing. The topic is so sensitive that China shocked the EU at a summit in June by refusing to endorse a joint statement on climate change out of dissatisfaction on the issue. When China joined the WTO in 2001, it was written into the terms of the deal that member states could treat it as a non-market economy for 15 years. Under this regime, the EU and other WTO powers retained powers to unilaterally establish fast and tough anti-dumping rules without infringing WTO rules. The deadline passed late last year and China has demanded that it no longer be treated as a special case. “This is not about giving market economy status to China, it never has been about this,” insisted Malmström. “China is not a market economy. If it were, it would be much easier,” she added. The EU will in future determine that dumping is taking place if prices for export are lower than domestic prices for all members of the WTO. However, it will make exceptions for cases of “significant market distortions”, such as excessive state intervention, an exception expected to cover many Chinese firms. The European Commission is expected to produce a report on China when the law enters force, outlining instances of market distortion. China’s planned railway link between Greece and Central Europe has hit difficulties after the project was accused of flouting EU rules on public procurement in Hungary. EURACTIV’s partner Italia Oggi reports.